The Well-Read Redhead: The Well-Read Runner: Sleep is for the Weak! I love working some 5K's into my training plan- keeps it fun! I ran one this weekend and it was great to be out there! I ended up in bed late too but the body is amazing and I finished better than I anticipated :) Have a great week! Yes, I'm looking forward to it! Race nerves were a real problem for me at my first half (last Sept), so I'm hoping that a few races during training will help me find ways to deal with that a bit better. I do keep moving no matter what! I get energy after I workout. The sleep deprivation hits me later in the day. Ah yes, I do hear that about the teenage years! I will enjoy those better sleeping years in between...haha. Agreed about the sleep deprivation being worse later in the day. It's so hard to get out of bed to start the workout. Then I finish running and I feel great! It's 1pm when it catches up to me and I need giant mugs of coffee. I'm so bad at pacing myself but, over time, it has improved some; I've tried to stop being so dependent upon my Garmin and be more aware of how my body feels while running at a particular pace, but it's tough! You did great on your long run; it's difficult to start out slow, but I think you'll get the hang of it as you continue your training and save the speedy stuff for your interval/speed work days. I think you'll really enjoy your 5K as part of training; I can't wait to hear about it! Sounds like a great first week of training, Kelly - way to go! Thanks so much for linking up with the blog; hope you have a great day! Thanks Tara! Yes, I'm hoping that as I get further into the training, I will be able to "know" my pace without having to check my watch all the time. I remember that happened for me when I trained for a half the last time...looking forward to getting that pace spidey-sense back! Reading this is total deju vu for me! 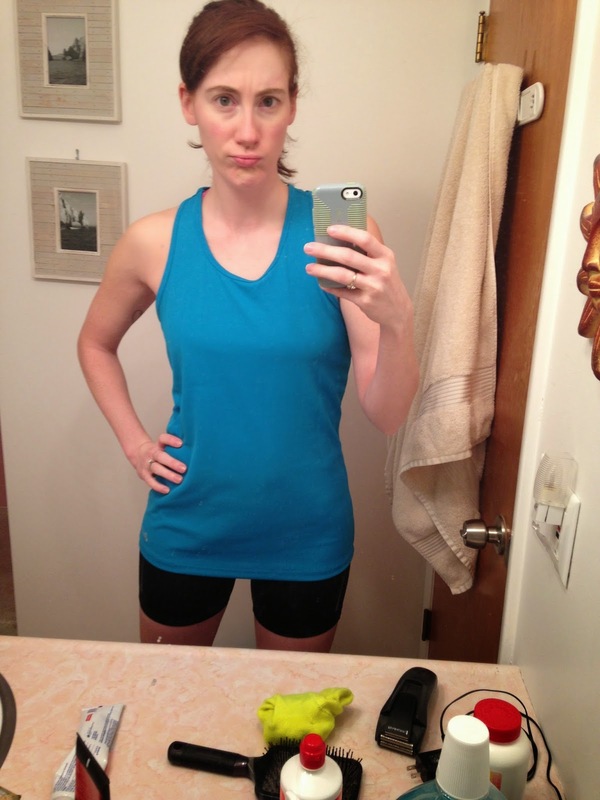 I used the same training plan for my half and also used the treadmill for the sprint days (I have a 2 yr old still at home w/ me, so need the gym babysitting sometimes) and felt the same way you did on long runs - really pulling myself back in the beginning. But, once you get farther into your plan, you will feel that pain at the end of the long runs and it's much easier to rein it in early since you know what's coming :) This started to happen around 8-9 miles for me. Hope you can sleep more next week! I'm sure that the long runs will feel different soon! 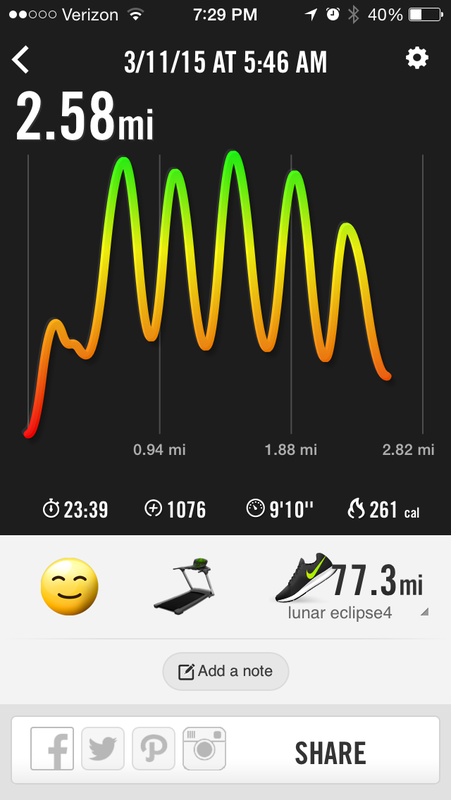 I have 6 miles coming up this Sunday, which shouldn't be too bad, but after that it's going to get more difficult. I haven't done 6+ in several months. Great training week...hope you get to catch up on sleep. I know the feeling on the 400s - that's a tough workout. I'm up to 10x400 now and I never think I'll be able to finish but I have to tell myself to focus only on the interval I'm doing at the moment - otherwise I'll psyche myself out and quit.